The Frightened Krazy Korn is built in our workshop. 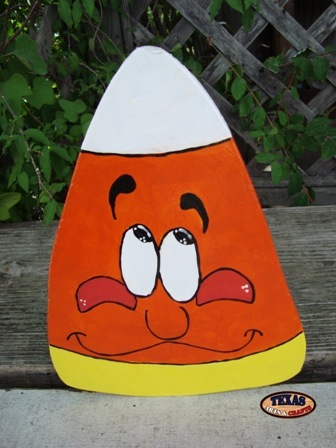 The candy corn is hand painted orange, yellow, and white. A frightened funny face is painted onto the krazy korn. The dimensions for the yard sign are 10 inches tall by 7.50 inches wide by .50 inch deep. The arts and crafts sign has a 9.50 inch stake. The weight with packaging is 1.75 pounds. For the continental U.S. shipping and handling is included in the listed price. For shipping outside the continental U.S. please contact us through our Contact Us page. The Goofy Krazy Korn is built in our workshop. 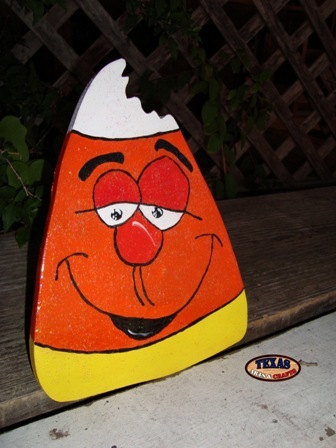 The candy corn is hand painted orange, yellow, and white. A goofy funny face is painted onto the krazy korn. The Laughing Krazy Korn is built in our workshop. 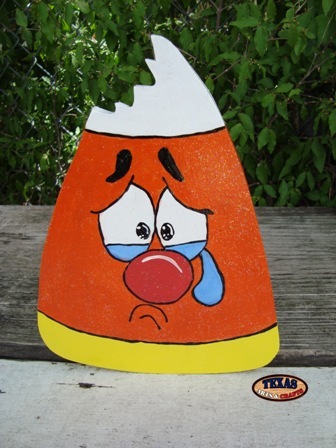 The candy corn is hand painted orange, yellow, and white. A laughing funny face is painted onto the krazy korn. The Ouch Krazy Korn is built in our workshop. 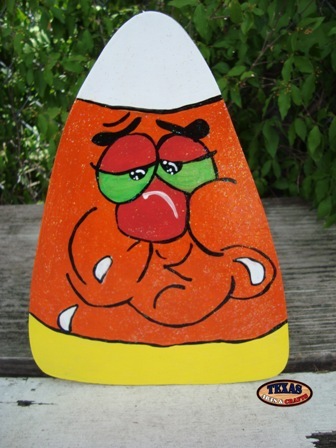 The candy corn is hand painted orange, yellow, and white with an ouch expression. The Sad Krazy Korn is built in our workshop. 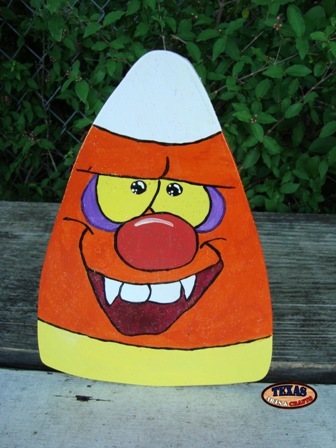 The candy corn is hand painted orange, yellow, and white. A sad face is painted onto the krazy korn. The Winky Krazy Korn is built in our workshop. 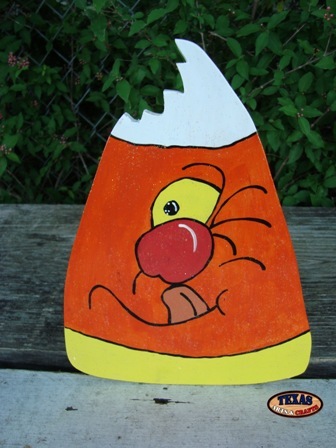 The candy corn is hand painted orange, yellow, and white. The krazy korn is winking. The Embarrassed Krazy Korn is built in our workshop. 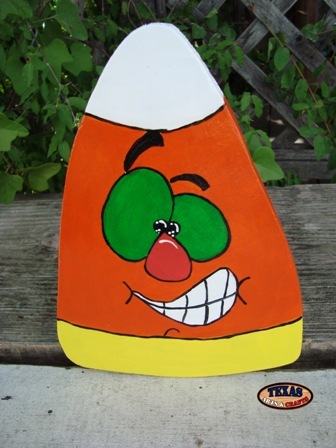 The candy corn is hand painted orange, yellow, and white. The krazy korn has an embarrassed expression. The Gloomy Krazy Korn is built in our workshop. 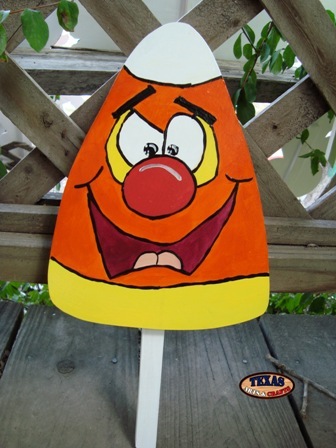 The candy corn is hand painted orange, yellow, and white. The krazy korn has a sad expression. The Malicious Krazy Korn is built in our workshop. 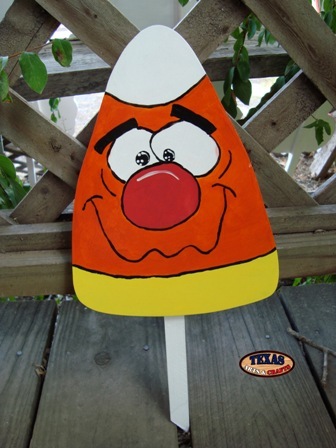 The candy corn is hand painted orange, yellow, and white. The krazy korn is smiling and has green eyes. The Distressing Krazy Korn is built in our workshop. 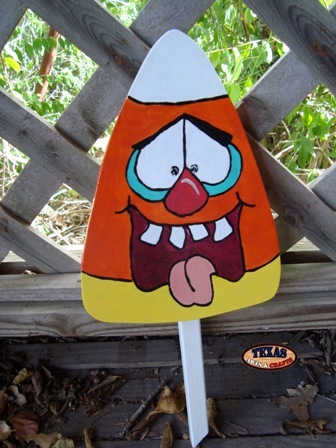 The candy corn is hand painted orange, yellow, and white. The krazy korn has a distressed expression. The Happy Krazy Korn is built in our workshop. 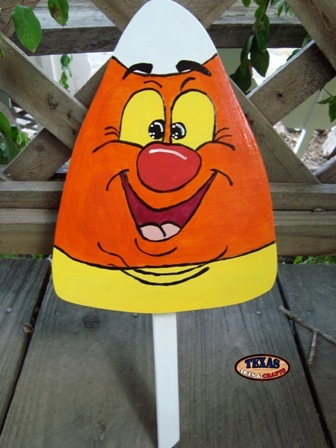 The candy corn is hand painted orange, yellow, and white. The krazy korn has a happy expression. The Ill Krazy Korn is built in our workshop. 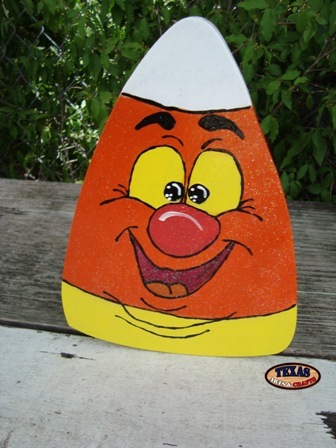 The candy corn is hand painted orange, yellow, and white. The krazy korn has a ill expression. The Lazy Krazy Korn is built in our workshop. 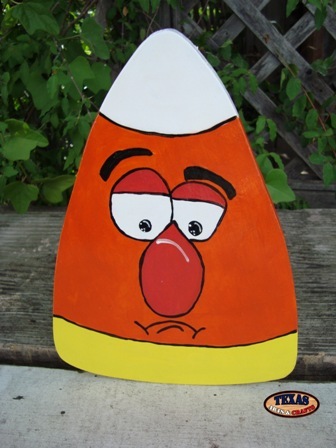 The candy corn is hand painted orange, yellow, and white. The krazy korn has a lazy expression. The Tear Jerking Krazy Korn is built in our workshop. 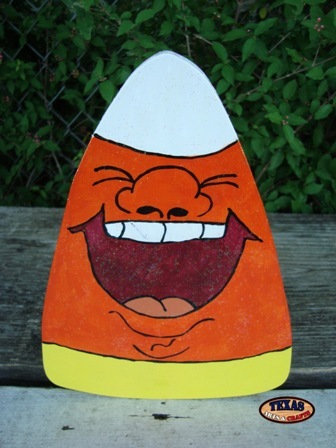 The candy corn is hand painted orange, yellow, and white. The krazy korn has a sad expression. The Excited Krazy Korn is built in our workshop. 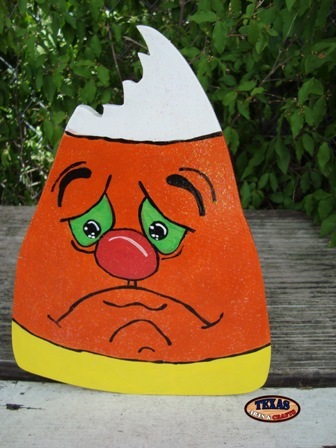 The candy corn is hand painted orange, yellow, and white. The krazy korn has an excited expression. The Jolly Krazy Korn is built in our workshop. 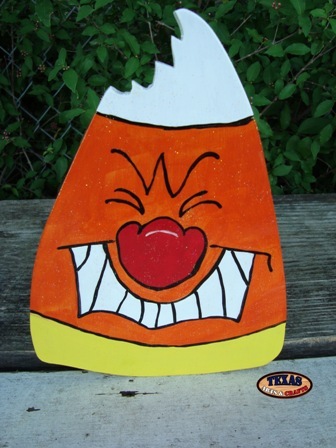 The candy corn is hand painted orange, yellow, and white. The krazy korn has a jolly expression. The Nervous Krazy Korn is built in our workshop. 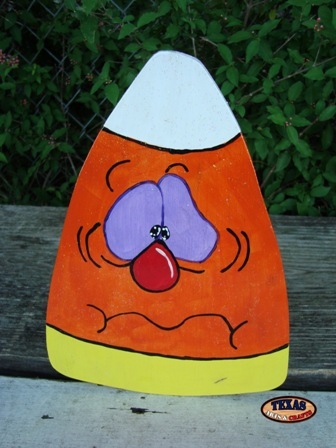 The candy corn is hand painted orange, yellow, and white. The krazy korn has a nervous expression. The Tongue Out Krazy Korn is built in our workshop. 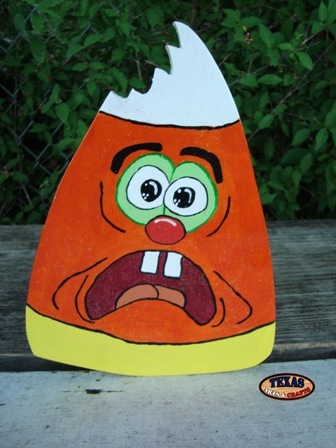 The candy corn is hand painted orange, yellow, and white. The krazy korn has its tongue sticking out.